Patient Centre What is gastric sleeve surgery? Dr Kevin Dolan’s gastric sleeve surgery has helped countless WA patients to battle back against obesity and achieve their goal weight. Gastric sleeve surgery is among one of the most reliable ways to achieve fast, visible and sustainable weight loss if you are around 40kg overweight. By reducing the size of your stomach by up to a third, you can expect to lose around 70% of your excess weight within a year. You will only be able to eat small meals and the feeling of being sated will last longer. But your food will still be absorbed in the usual way by your intestines as this is not a bypass procedure. Gastric sleeve surgery was first performed in 1988 as a part of a bariatric surgery used to treat super morbid obesity and showed excellent weight loss results. This led to gastric sleeve surgery being proposed as stand-alone weight loss procedure and has been available to the public since 2003 in that capacity. It is never too late to lose weight and if you have the will, we have the treatment that can help you to lose your excess weight and give you back the ability to take pride in your body. As a part of our dedication to your weight loss surgery transformation, we will be with you from start to finish and beyond with a support team of health professionals who want nothing more than to see you succeed in your quest for healthy living. Having weight loss surgery is a decision that should never be taken lightly. But don’t worry, Dr Kevin Dolan and the team will provide you with the details of any prospective treatment and answer any questions that you may have. The gastric sleeve surgery procedure is tasked with reducing your appetite so that you eat smaller portions and lose weight consistently in the long-term. If you follow Dr Dolan’s post-operative recommendations, you can realistically expect to lose around a kilogram a week until you reach a normal weight range. However, not everyone is a suitable patient for the procedure. Dr Dolan will thoroughly assess your medical history before making any recommendations regarding treatment. 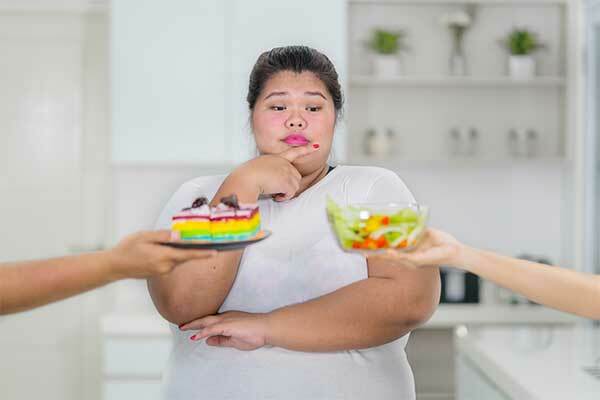 You might consider gastric sleeve surgery if your attempts to lose weight through dieting and lifestyle changes have failed and you want a long-term weight loss solution. You could also be experiencing serious health concerns caused by obesity and want to prevent any further illness. Gastric sleeve surgery comes with a range of benefits for patients who decide to go ahead with the procedure and will dramatically reduce your caloric consumption. You will be able to feel full after eating only small portions that will ensure successful weight loss over even after a short period. Studies have shown that patients who undergo gastric sleeve surgery lost an average of 66% of their excess weight. Because there is no rearrangement of the bowel, there is also no dumping required following gastric sleeve surgery. This is a process sometimes necessary when the undigested contents of a patient’s stomach are passed too quickly into the small intestine. There are also fewer risks attached to gastric sleeve surgery as opposed to a gastric bypass such as ulcers and other issues. The procedure is also laparoscopic, which means that that is less invasive, results in less scarring and require a shorter recover period. To find out more about our gastric sleeve surgery or to make an appointment with Dr Dolan, please click here.